Summary: Sorious Samura, a Sierra Leonean journalist, risked his life to film on the front lines during his country’s long and brutal civil war. His self-funded “Cry Freetown” depicts the most brutal period of that war when Revolutionary United Front (RUF) rebels attacked the capital city in January 1999. Profile: “Kill every living thing,” shouted the rebel forces as they entered Freetown, Sierra Leone’s capital city, on January 1999. As the world’s media fled, local freelancer Samura captured on film the dreadful truth of what much of the world was ignoring. Captured and threatened by the rebels, Samura escaped. During the next few days, while fighting raged between rebel forces and Nigerian “peacekeeping” troops in his country’s civil war, Samura took his handheld camera and captured on video some of the dreadful atrocities committed by both factions as almost everyday acts of war. While most of the atrocities were committed by the Revolutionary United Front (RUF), whose calling card was to hack off the hands of its victims, the ECOMOG “peacekeeping force”—composed mostly of Nigerians—also had a brutal reputation. Over the decade of the Sierra Leone civil war, an estimated 50,000 people were killed, 10,000 had their hands or arms cut off, and more than one million were left homeless. In the new documentary, Samura revisits the site of the house set afire by rebels with local people still inside. He explains how Nigerians, assisting government forces, bound up, beat, and almost killed a boy with learning disabilities because he was in a building they suspected of housing a sniper. Samura’s other work is also bold. 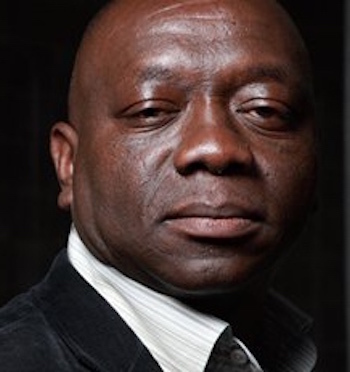 In 2010, he investigated attitudes to homosexuality in “Africa’s Last Taboo.” In two recent projects, “Living with Hunger” and “Living with Refugees”, Samura took reality television to its extreme, himself becoming for a month the central character in the films by living the lifestyles of, respectively, an Ethiopian villager and a Sudanese refugee. In doing this, he tried to break the boundary between “us” (the people watching on TV) and “them” (those before the camera) by becoming one of them. His latest documentary, “Living with Corruption”, tells the shocking reality of how corruption spreads across society in both Sierra Leone and Kenya, affecting mostly the poor. Now living in both London and Freetown, Samura is one of the Directors of “Insight News TV”, an independent television production company in the UK focused on international current affairs programming.